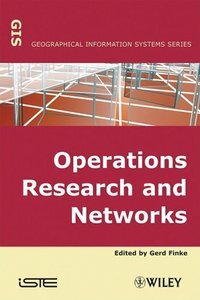 This book presents the principal concepts of operations research (OR) as tools for the planning, support, and management of various types of networks, including both physical and logical networks. It analyzes real problems, and offers a collection of models for many application areas, together with the corresponding solution techniques. Following this, important application areas are addressed, such as project scheduling, distribution networks, telecommunication networks, and planning of satellite imaging. Anyone involved in the theory or practice in this field will find this a vital resource.